The coupled ionosphere–thermosphere–plasmasphere system is very complex. 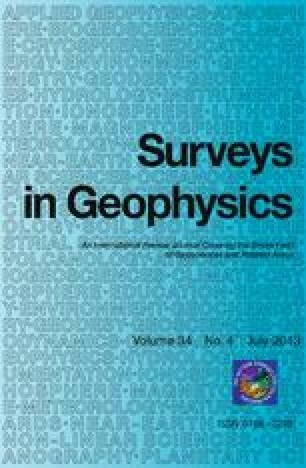 The study of its interrelationships during geomagnetically disturbed conditions is an especially challenging task.Significant progress has been achieved during the last few years in developing comprehensive theoretical models to describe its global behaviour.Moreover, more simple, specialized numerical modelling of some specialaspects of storm behaviour and/or regional models have contributedto the progress in this field.This paper summarizes recent developments in upper ionosphereand plasmasphere storm studies and modelling.From an observational point of view the upper ionosphere/plasmasphereregion is well reflected in radio beacon measurements providing the totalelectron content (TEC). The development of space-based radio navigation systems such as GPS offersnew opportunities to derive TEC on both regional and global scale.Combining TEC with ionosonde data enables the variability of the shape of the electron density distribution during storms to be studied.We present some examples of co-ordinated investigation,made during the CEDAR storm study intervals.